No assembly tools needed. Snaps together instantly. 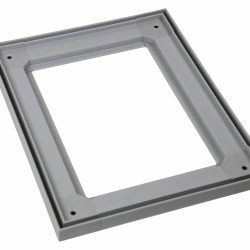 Can be pressure fit, screw-secured, or glued. 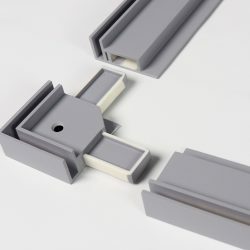 Corner Pieces and T-Connectors make unlimited size and shapes easy. Cut with any hand or power saw. Custom sizes are a breeze! Breaks down to shippable sizes – NO UPS/FedEx surcharge! 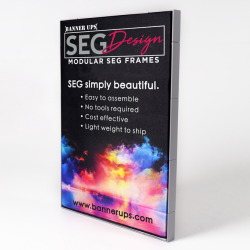 Add DESIGN to your SEG frames – wrappable, paintable, designable! Match customer’s logo or image color! Let your creativity flow! “Upsell” through beautiful design. Enter the SEG market NOW, with no equipment cost. Banner Ups – a trusted supplier who SUPPORTS YOUR business. 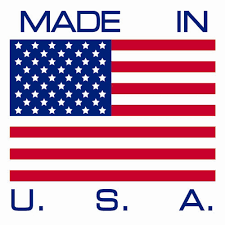 Ask us for a list of approved recommended Textile Media. Latex, Dye Sub, Eco-Solvent – Get more out of your printer! 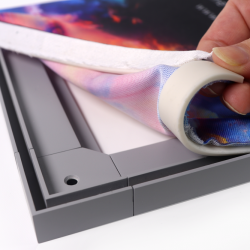 Try our easy printing templates to achieve the best fabric fit with SEGDesign Frames.